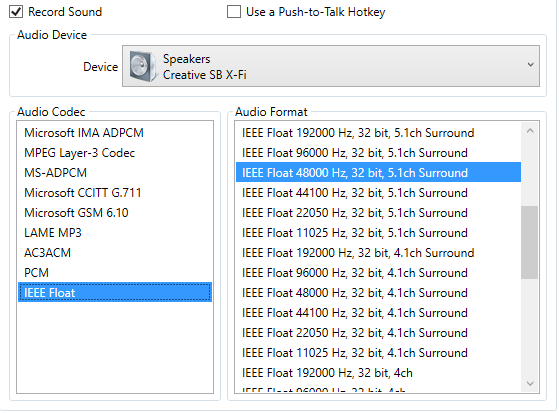 Audio encoder to record 5.1 audio? I can't find a proper encoder to record 5.1 audio. It does actually record 5.1 audio but it affects file size a lot(+~8GB to file size per hour of recording). When I use Lame MP3, for example, audio track is only about 840 MB per hour of recording. The problem with Lame MP3 encoder that it down mix everything to stereo. Are there encoders which allow to record proper 5.1 audio? I wasn't able to find any audio encoders which would allow to record 5.1 and not stereo, so any help would be appreciated, guys.